Food always brings people together. The Blair House Inn Culinary Team Building Retreat creates an environment that promotes creativity, communication and cooperation among participants, allowing them to relate to one another in ways not possible in an office setting. Looking for an enjoyable Team Building event for your employees or clients? Blair House Inn will customize a hands-on Culinary Team Building Retreat to meet your specific needs. Our Team Building workshop is designed with the legendary Vince Lombardi team concept in mind; "Individual commitment to a group effort is what makes a team work.” Each individual will be given a specific task to be completed in a timely manner and the entire group will work towards a final goal. As our professional chef oversees the activities, participants learn to work together in a comfortable culinary setting to improve communication, build morale and share laughter and responsibility and appreciate everyone’s individual skills. Prior culinary experience not required! Each corporate team building retreat features the freshest seasonal ingredients and recipes from our gourmet collection. 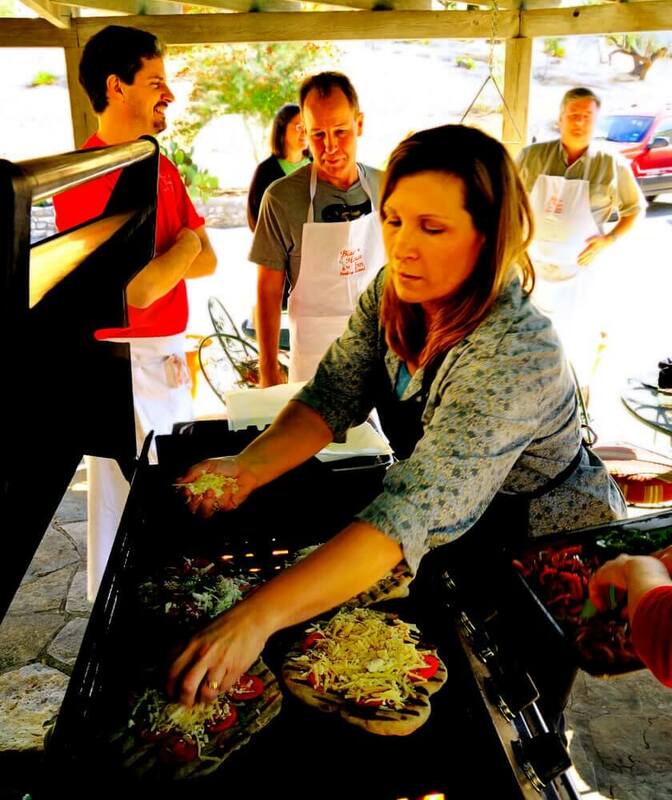 If just thinking about team building with cooking classes tickles your taste buds, the Blair House Inn provides everything your team needs from setup to clean up! These classes are designed for 6 to 10 people and are six hours in length. Team building fees start at $175 per person (subject to availability and menu selections). Your team will arrive on Sunday or Monday and Blair House Inn will host a wine and cheese reception the first night which will conclude at 7:00 pm. That evening we can arrange dinner at one of the local restaurants or for an additional fee, our chef will prepare dinner for everyone here at our Inn. On the second day, Blair House Inn will serve a three-course breakfast from 8:30-9:30 am. * If needed, meeting space is available from 9:45 to 11:45 am. Cooking classes will begin at 12 noon and students will work together to create a four-course dinner which will be served at 6:00 that evening. (If lunch before cooking class is desired, we serve a three-course lunch for $20 per person or provide a boxed lunch for $12.50 per person). The Chef will submit the menu for your approval. Pricing does not include lodging accommodations. For 4 or more room reservations we will offer a discounted group rate of 15% per room. All guests must stay at Blair House Inn. Your group reservation includes our three-course gourmet breakfast and all day break station during the meeting(s). After check out, Blair House Inn will be happy to assist you in arranging a boxed lunch and outing to a local winery or Mediterranean farm. All prices are subject to tax and do not include gratuity. A deposit for the first night reservation is due upon the signing of a group contract. *If a full day of team building is desired, cooking class will begin at 10:00 am. Members will work together to prepare a three-course lunch which will be served at noon. There will be an additional fee of $40 per person. The Blair House Inn will offer classes of 6 or more students to the Village of Wimberley and San Marcos, with a valid local address. Please contact the Inn for more details. Contact us today to schedule your next retreat, or for more information call (512) 847-1111.